It is unfortunate, but car wrecks happen every day due to poor weather conditions, faulty roads, defective vehicles, and driver negligence. The results of car wrecks are wide ranging, from minor to catastrophic. The severity of accidents is often dependent upon complications that occur after accidents happen. Car accidents account for a large number of injuries each year. According to the Centers for Disease Control and Prevention (CDC), more than 2.5 million Americans were injured badly enough to go to the emergency room in 2012. Of those, almost 200,000 were hospitalized. There are some common injuries that are caused by car wrecks, including brain injuries, spinal cord damage, and neck and spine injuries. The CDC found that the third largest cause of traumatic brain injury in 2013 was car accidents. In that same year, 19% of car wreck brain trauma cases resulted in death. Usually, the outcome includes permanent disability or impairment for the victim. The leading cause for this trauma is blunt force that causes the brain to bleed. The effects of the injury tend to include permanent vision, speech, and memory loss. Traumatic brain injuries can cause emotional hardship for all members of the victim’s family. For families that lost a loved one due to a brain injury after a car accident, the results are devastating. Not only do they have to deal with the loss of their family member, but also the medical bills and other costs associated with the incident. Any injury to this region on the body can result in permanent scarring or disfigurement. Lacerations, burns, and bone fractures to the face are often caused by the release of the airbag or hitting the dashboard or steering wheel. Facial injuries are difficult to repair as multiple operations are required before the victim can begin healing. Most surgeons will caution their patients that there’s no guarantee of looking the same again. News of this nature could lead to severe depression and emotional pain for the victim. Spinal cord injuries are some of the most severe a person can sustain after a car accident. These often lead to permanent or partial paralysis. A patient could be diagnosed with a misplaced or broken bone fragment, disc rupture, or spinal tear. These injuries disrupt the transmission of signals between the brain and body. The result could be temporary or permanent loss of feeling and function of the body’s extremities. The diagnosis of permanent paralysis can be devastating and alter the course of the car accident victim’s life. The patient may need to be placed on a ventilator for the remainder of their life or will often need help with day-to-day functions. This puts an emotional and financial strain on family members. 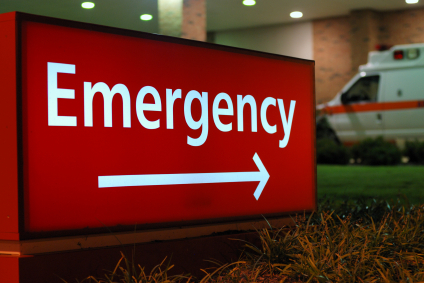 Life-threatening injuries to a person’s internal organs are serious and often require emergency surgery. These injuries are caused by a puncture from a fractured rib or blunt force, among other factors. Internal organ damage can be deadly, especially if it isn’t diagnosed immediately. Internal bleeding is difficult to control and often leads to permanent damage. This is why it is important to see a doctor after a car accident. All lower back injuries sustained in a car wreck are serious . They often come with severe pain and limited mobility. Cervical dislocation and possible disc damage are common. Both injuries are painful and often become debilitating over time. Neck injuries aren’t severe at first, but over time, chronic pain could be disabling for an extended period of time. Whiplash is the most well-known neck injury suffered after a car accident. Some injuries are common, but not as well-known as the more major issues. These include knee and shoulder injuries and psychological complications. Injury to the knee can be caused during a car accident in a few ways. Upon impact, the knee can hit against the dashboard, which can shatter the knee cap. The driver can also become hurt by pressing on the brakes too hard when the accident happens. This causes similar injuries and torn tissues or ligaments. Knee injuries often result in expensive surgery. Many people do not wear seatbelts because of the injuries they can cause in car accidents. This is not always the case, so wearing a seatbelt is vital. Sometimes, the seatbelt will damage one shoulder due to the impact, causing bruising, strains, or muscle tears. This is a hidden injury that many do not experience until later, so it is important to see a doctor if you feel any shoulder pain. After a car accident, many feel emotionally and mentally traumatized, even if they weren’t seriously injured. Some can even develop post-traumatic stress disorder or phobias of driving. These issues affect the personal, social, and work lives of car accident victims, causing further emotional damage and financial issues. If you have been injured in a Car Accident and suffered these or other injuries due to someone else’s negligence, you can seek financial compensation for your pain. Contact Dean Boyd for information on how we can help with your claim. You can reach us 24/7 at (806) 242-3333 or Contact Us by email to learn more about our Services. You can also visit our offices at 4423 SW 45th Avenue in Amarillo, Texas or 5012 50th street in Lubbock, Texas to learn more.